Mallard is a sister ship to Seagull but with a smaller V6 engine. She still has the FasTrac hull which to me is just the perfect package for rental and cruising. 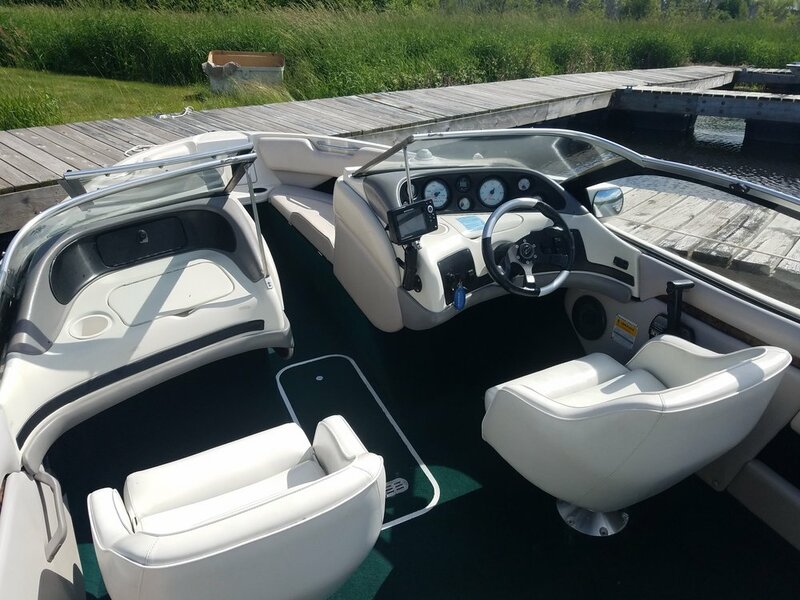 The air pocket makes the boat efficient, sporty fast and fun to drive. It also allows the boat to cut through choppy seas and she performs well even in moderate Lake Superior Chop. Mallard has a Humingbird GPS and a CD player/Stereo. She is awaiting a permanent mounted VHF radio but I have a hand held for the meantime I will send with you. Perhaps a little slower than Seagull she should be slightly more fuel efficient.